Take an adventure through the canopy and to the hanging bridges! Experience one of the best zip line canopy tours in Costa Rica! With longer, higher cables, this promises to be the fast-flying adventure of a life time! After a brief training on safety and technique, the fun begins. As you soar through the trees enjoy plenty of opportunities to see the landscape and natural beauty of the area including trees, aerial ferns, bromeliads, orchids, birds and others animals. Join us on a journey that is sure to take your breath away! You will also have an opportunity to hike the hanging bridges. 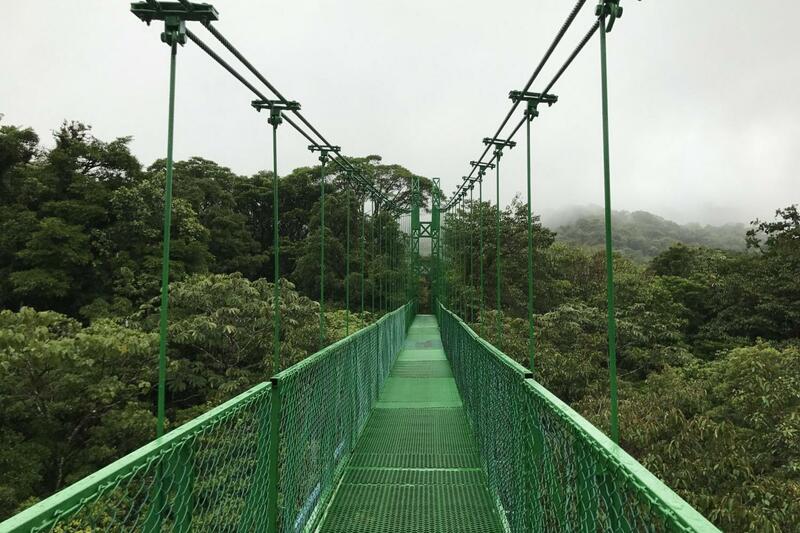 Easy to walk on and at a medium height from the ground, this series of eight bridges allows you to experience the forest from a different perspective. Fully separated from the other activities, the sounds of nature are sure to be heard as you walk. It´s fun for the whole family!